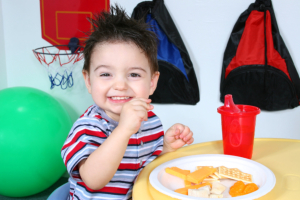 At All Kids 1st Learning Academy, our PK2 program provides a more structured setting for learning. The Creative Curriculum for Infants, Toddlers, and Twos is used to teach social/emotional, physical, cognitive, and language development. With this curriculum, teachers can respond to the individual needs and learning styles of all children. It is one of the only curriculum and assessment systems that are inclusive of all children – those developing typically, children with disabilities, and English language learners. Our bilingual class, taught in English and Spanish, brings the themes of early childhood to life. 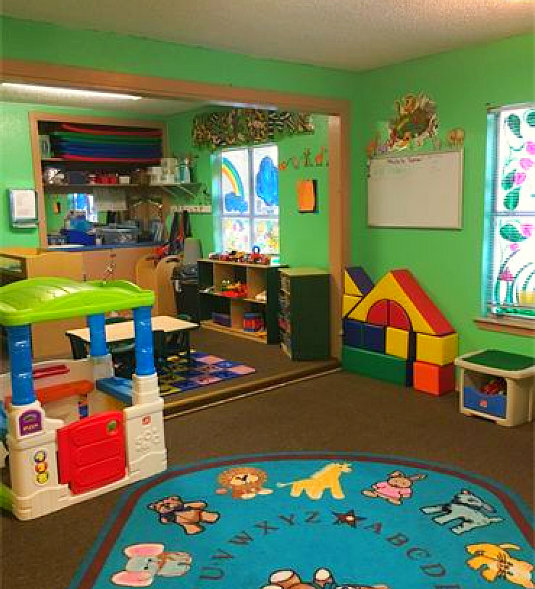 In addition to providing the nurturing, loving atmosphere that they have grown accustomed to in our infant and toddler programs, we offer our students a variety of components to supplement our rich academic curriculum. Music and art activities are planned to promote creative development and self-expression, as well as to stimulate brain activity. Gross motor skills are supported through throwing, kicking, climbing, balancing, jumping, running, marching, and playing outdoor games. Potty Training and other self-help habits are woven into the daily routine to develop autonomous, self-reliant individuals. In the PK2 program, our teachers focus on developing the fine motor skills and hand strength that are essential for future success in handwriting and scissor skills. Fine motor skills are developed through the use of painting, cutting, threading, tweezing, completing puzzles, and through the use of buttons, zippers, and snaps. Our teachers support these emerging concepts through positive reinforcement and constant praise. Language development is an essential component of the PK2 class. Two Year-Old’s often go through a “language explosion” at this age, speaking in complete sentences seemingly from one day to the next. We know, however, that this language has been ingrained in the child’s thought processes for some time, and it is joy to see how much their personality changes when they begin to express themselves verbally! Our curriculum for Twos includes an enriched vocabulary through literature, special concepts, and thematic units such as transportation, animals, insects, weather, seasons, holidays, and more. Early mathematics activities build the foundation for future mastery of number skills and logical thinking. Our teachers prepare a variety of activities in the areas of number sense, geometry, simple measurement, and reasoning. Shape and Color Recognition are essential components in our curriculum that lead to the introduction of concepts such as patterns. Our teachers prepare number recognition and number value activities (from numbers 1-9) to teach children the concept each number has a unique set of properties. Students are taught pre-reading skills to prepare them for our advanced preschool curriculum. At All Kids 1st Learning Academy, we have the utmost respect for a child’s development and follow developmentally appropriate practices, while exposing them to data that will plant the seeds of academic knowledge in their minds. Our teacher begins a gradual introduction to letter recognition and beginning word sounds through Circle Time games and one-on-one interaction. Students begin to practice word recognition skills through interacting with color words, their first name, classmates’ names, and environmental print. Talk to us by calling 210-822-7777. You may also use our online form to enroll your child to this program. We would be delighted to provide you with more information regarding this program.